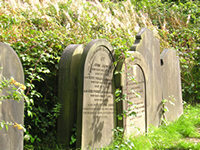 We have a long history of providing traditional burials. In addition, we are happy to cater for families wishing to arrange alternative, green and natural funerals. Information is available from the Office Administrator, who will discuss arranging an appropriate service for your loved one. All ceremonies and interment procedures must be seemly and performed with dignity to avoid offence to other people whose beliefs are different. 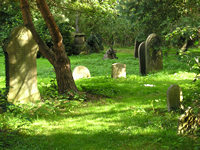 Unfortunately the scattering of ashes is not permitted in the Cemetery, as this would affect other graves. However, we do provide for the burial of ashes, either loose or in a container. Again, further information is available from our Office Administrator.